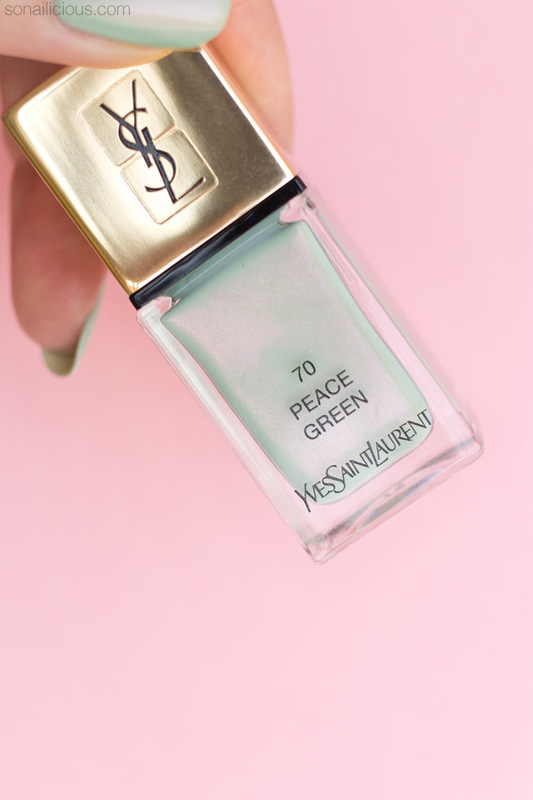 If I had to describe the new YSL Love Pink and YSL Peace Green polishes in one word, it would have to be divine! The two new limited edition colours from the YSL Boho Stone collection tick all the right boxes. 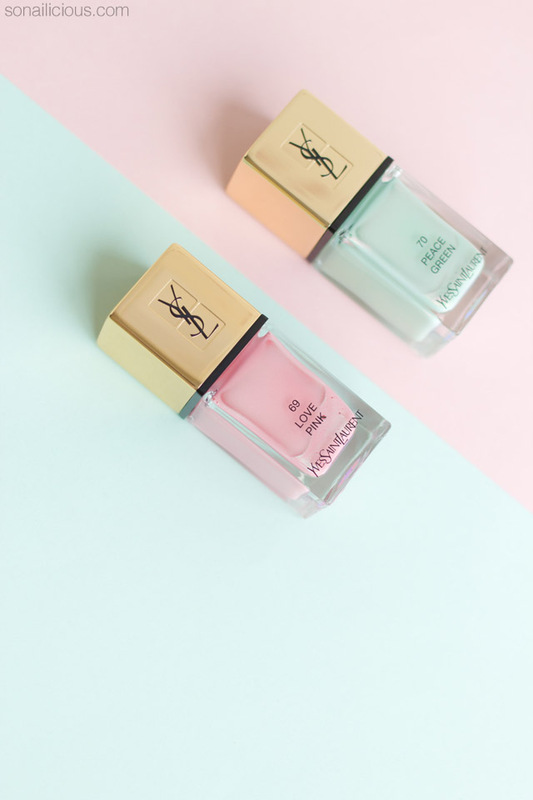 As always with YSL, there’s an impeccable 5-free formula, flawless application and stunning packaging, but what really sets these new lacquers apart from the rest of Spring nail polish collections is the heavenly iridescent effect. It brings a different dimension to the colour and transforms calm washed out pastels into stunning, one of a kind lacquers. YSL Love Pink and YSL Peace Green cleverly feature the other’s colour in the iridescent effect making them a perfect pair. 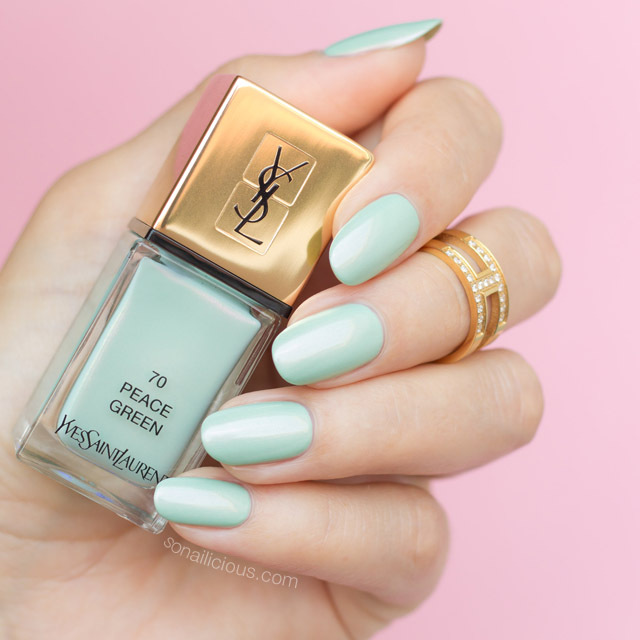 YSL Love Pink – light warm pink features mint green shimmer and the mint green YSL Peace Green features pink shimmer. 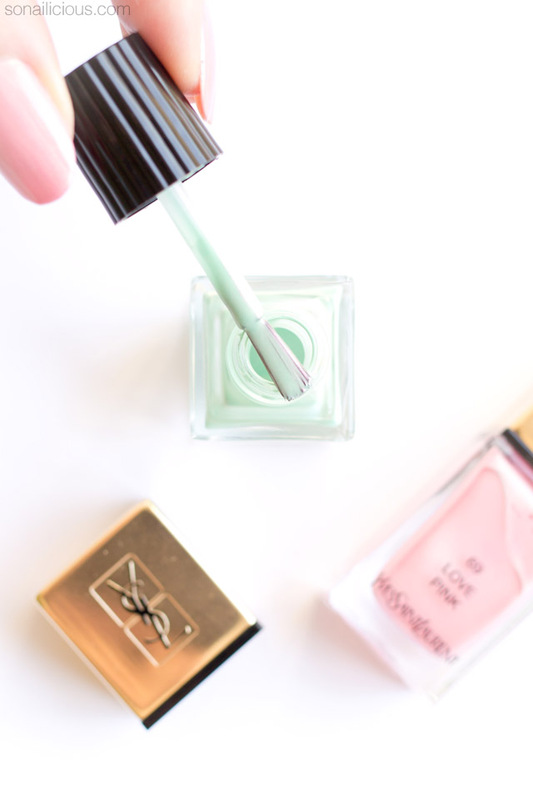 Unlike other iridescent polishes I’ve tried in the past, the YSL Love Pink and YSL Peace Green effect is strong yet well balanced making these polishes suitable for any age. It’s barely there in the shade but under direct light it shines bright. If you get a chance, try these colours at your nearest YSL beauty counter, because photos can’t do justice to these stunning colours. Formula: 5-free. Fast drying & quite sheer. 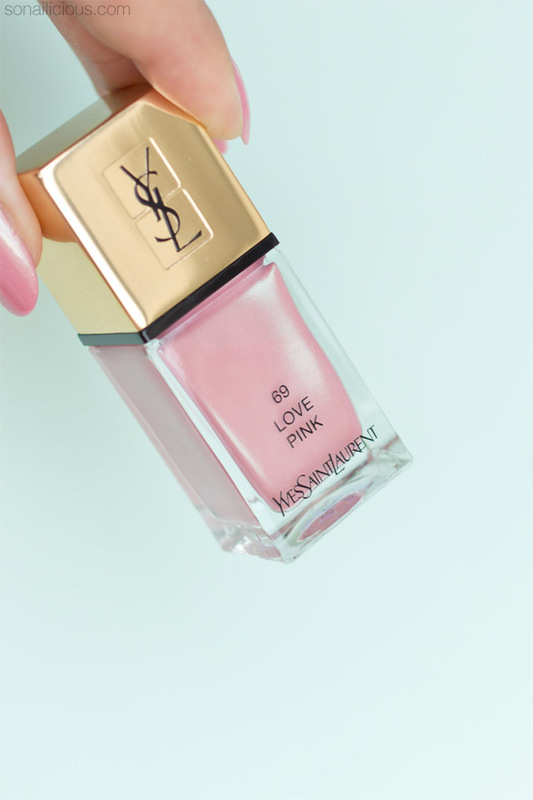 You’ll need 3- 4 coats to get YSL Love Pink and YSL Peace Green fully opaque. However, the formula is so good even 5 coats look absolutely smooth (YSL Peace Green – 5 coats pictured; YSL Love Pink – 3 coats pictured). Application: These polishes go on flawlessly and despite their iridescent finish, they are 100% streak free! I was amazed at how even YSL Love Pink and YSL Peace Green look on nails. Also, all YSL polishes feature a flat rounded brush that makes application easy. Finish/Colour: A very glossy sheer-ish iridescent, or opalescent, as some may call it. In direct sunlight the green shimmer in YSL Love Pink yields a gold shine effect that isn’t visible in low light. 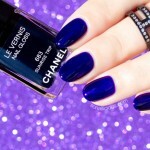 This polish can be easily worn without a top coat (pictured swatches – no top coat). The formula and brush are so good there are no flaws to correct with top coat. Personally, I prefer a less glossy finish for iridescent polishes. 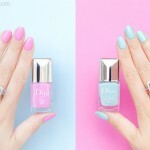 Nail Art: These polishes are great for a base, negative space or gradient manicures. However, because they’re sheer I would not recommend layering them over any other colour with the exception of white. Dupes: There are absolutely no dupes. Wearability: Very long lasting. 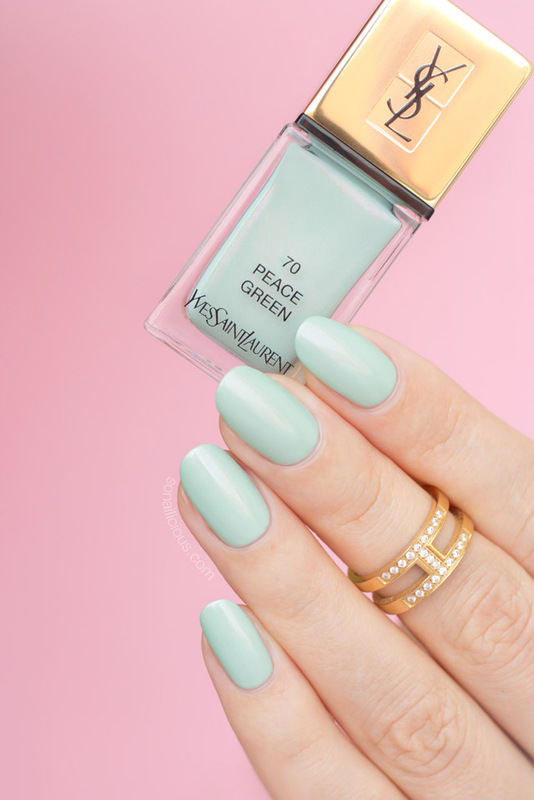 YSL Peace Green lasted 6 days without a top coat. Overall Impression: MUST. HAVE. I usually prefer brighter colours but getting this YSL pair was a wise decision. They are so much more than your typical Spring pastels. 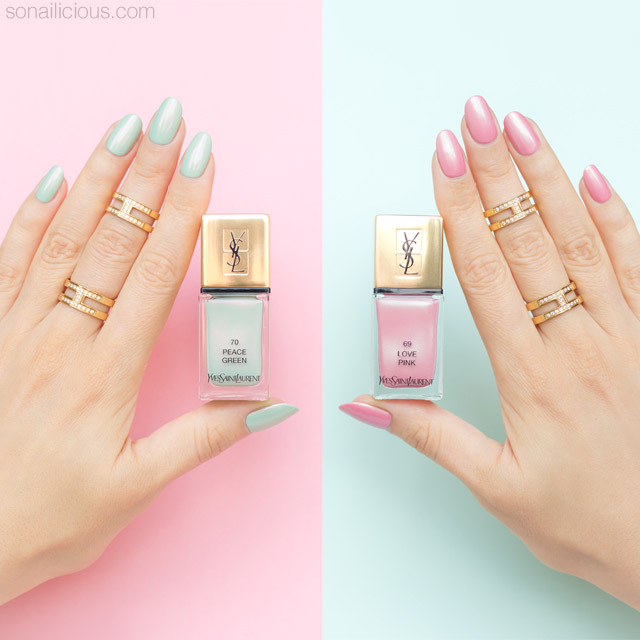 Both, YSL Love Pink and YSL Peace Green look absolutely incredible on nails. They are also a limited edition, so get them before they’re all gone! 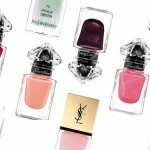 Availability: YSL Love Pink and YSL Peace Green via YSL Beauty US $28; in Australia – here, AUS $42. Are you a fan of iridescent polishes? 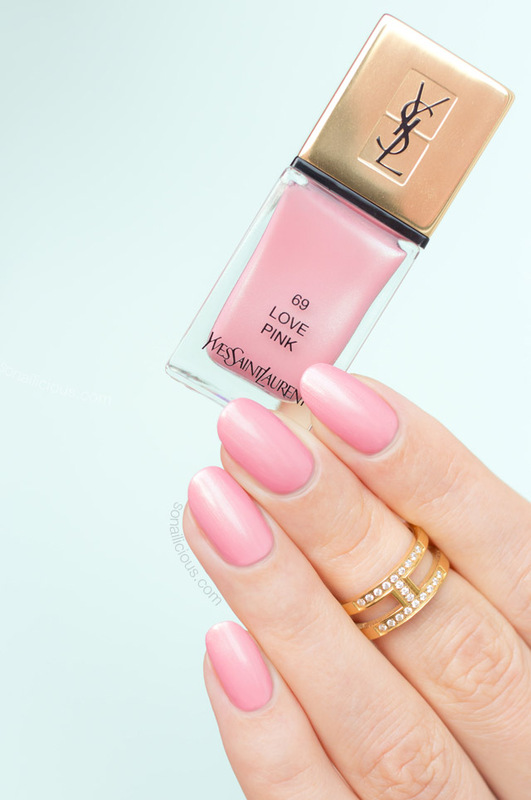 What do you think about the colours & finish of YSL Love Pink and YSL Peace Green?